Clockwise from top left, four mid century modern re-visioned color schemes: Three-color Palmer & Krisel Model 6C utilizing warm-hued greys & orange accents; Three-color first-generation Paradise Palms Palmer & Krisel Plan 1 utilizing a cool-hued charcoal body, white trim and bright yellow accents under the eaves; Three-color Paradise Palms ranch-home featuring a solid light tan-body, mineral-orange accents and white highlights; Three-color Palmer & Krisel Model 4A utilizing a solid-white body and two accent colors of blue and green. Clockwise from top left, four retro-inspired mid century modern color schemes on classic Krisels: Four-color Palmer & Krisel Model 11A featuring a warm-toned two-color grey body, white accents and mineral-orange doors; Three-color first-generation Paradise Palms Palmer & Krisel Plan 1 utilizing a cool-toned grey body, cool-toned light grey champagne bubble block accent color and mid-century green trim; Three-color Palmer & Krisel Model 3B featuring a light-green body, soft yellow trim and a red accent door (out of photo); Four-color Palmer & Krisel Model 6A featuring a sun-gold body, warm-toned grey and charcoal accents on the shadow block and turquoise doors. 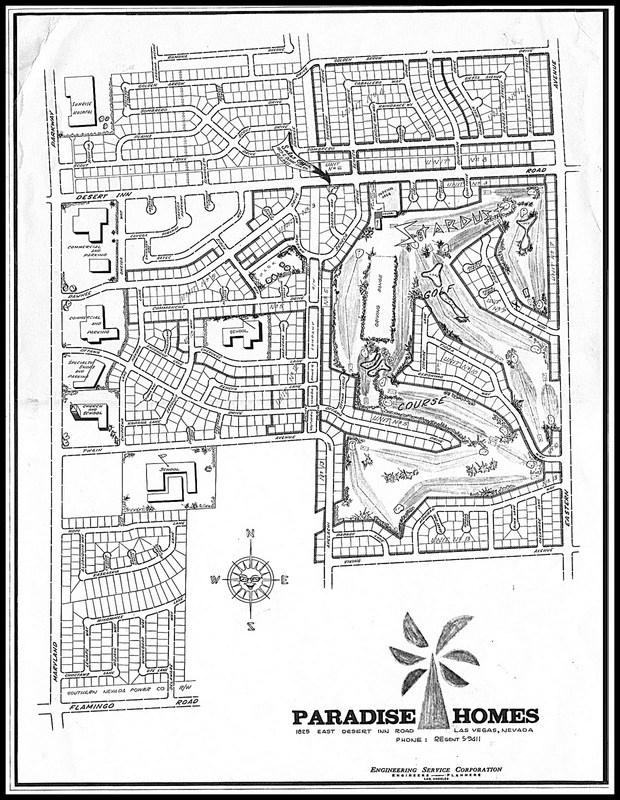 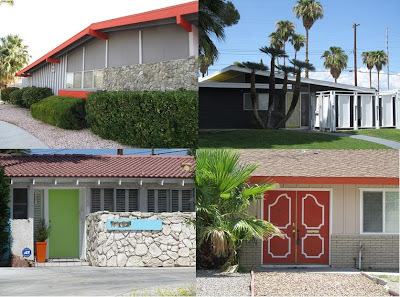 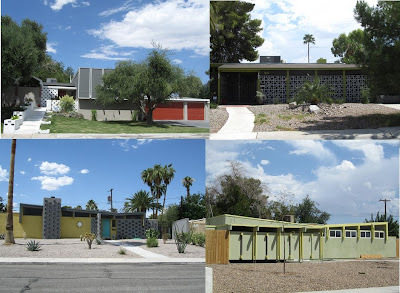 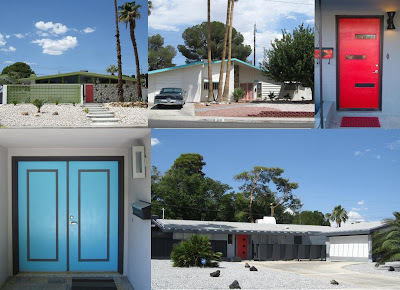 Clockwise from top left, five mid century modern paint color schemes in Paradise Palms: Three-color first-generation Paradise Palms Palmer & Krisel Model 1 with a solid-white body and two accent colors of green and orange; Three-color Paradise Palms contemporary home featuring a solid-white body with coral-pink and light-blue accents; Three-color Miranti Homes Monterey Model showcasing a warm-toned grey body, black trim and red accents; Four-color Palmer & Krisel Model 4A displaying a warmed-toned grey body, dark gray and charcoal fence colors and an orange accent door; Four-color Paradise Palms contemporary ranch home featuring a warm-toned grey body, grey and charcoal trim colors and blue accent doors.